Montreal, Canada (April 19, 2018) – D-BOX Technologies Inc. (TSX:DBO), a world leader in immersive entertainment experiences, is pleased to announce a new contract with Trondheim Kino, Central Norway’s largest cultural and entertainment company. The installation of D-BOX motion seats in the Prinsen multiplex will create an exciting new entertainment option for moviegoers and a welcome boost at the box office for the Norwegian company. The motion technology will be utilized in theatres with Premium Large Format (PLF) screens giving Trondheim Kino the opportunity to offer customers one premium on top of another. The unparalleled immersive experience that has captivated audiences and made D-BOX synonymous with extraordinary entertainment experiences around the world falls totally in line with Trondheim Kino’s overall mission to offer the audience a “greater experience”. Once the seats are installed in May of this year, customers will finally be able to enjoy an enhanced, movie-going experience that has no equal. 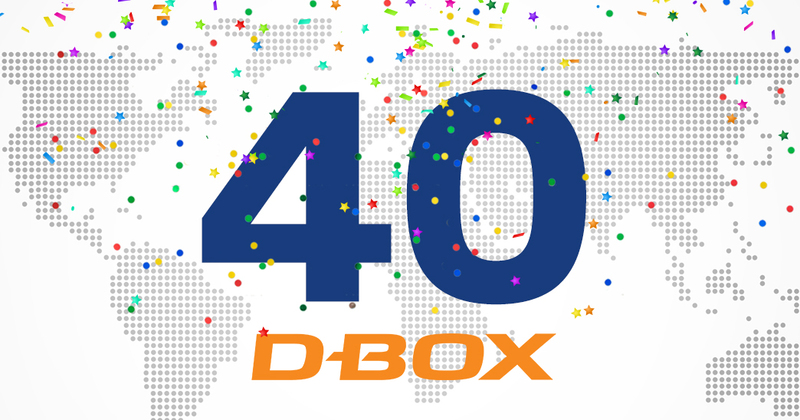 As more and more exhibitors search for exciting new ways to entice moviegoers and combat the popularity of streaming services, the undeniable allure of D-BOX has proven to be a profitable addition to theatres all over the globe. Trondheim Kino is the largest cinema company in Mid-Norway and recently celebrated its 100th anniversary. Trondheim Kino has 22 screens at 3 locations in Trondheim and Stjørdal. The company is part of KinoNor, a major cinema chain in Norway. Trondheim Kino and KinoNor were the first cinema company and cinema chain in the world to become environmentally certified.